Golf Clubs in the UK. Find English, Scottish Golf Courses. 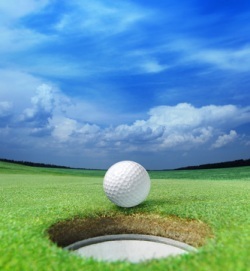 Golf is an extremely popular sport and social pastime in the UK. Each county in Great Britain is host to a substantial number of golf clubs. Clicking on the list of clubs under our London Golf heading, for example, produces a very long list of golf clubs in the metropolitan area alone. You are spoiled for choice when it comes to selecting a local golf club. Equipment suppliers also abound, although most golf clubs will also have an outlet for kit and supplies. Golf is well organised in the UK, the Royal and Ancient Golf Club of St Andrews is among the oldest and is certainly one of the most prestigious clubs in the world. The club is based at St Andrews in Fife, Scotland, known as the home of golf. Up until 2004 the Royal and Ancient Golf Club was one of golf's governing bodies, but this is now in the hands of the organisation known as the R&A. Clubs will usually take great care of newcomers and delight in encouraging those who wish to try their hand at the game, especially youngsters. Some clubs do still have quite traditional rules though, particularly with regard to dress, so be sure to check before you get turned away for turning up to play dressed in your jeans and trainers!